Bruce Springsteen's new album Working On A Dream doesn't come out until 27 January, but you can hear it in its entirety right now. 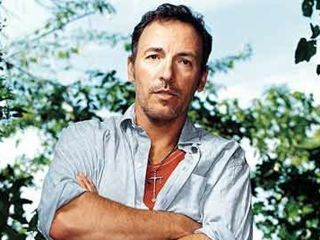 The Boss has allowed his 24th album, the follow-up to 2007's Magic, to stream in full all week before its physical release date. It's apparent that more sonic experimention was the order of the day on the new disc. Working On A Dream features 12 tracks plus a bonus cut, the Golden Globe-winning title track to Darren Aronofsky's film The Wrestler. In many ways, Working On A Dream is a companion to Magic - Springsteen and producer Brendan O'Brien cut the album quickly, barely taking a break between records. But on first listen it's apparent that more sonic experimention was the order of the day on the new disc. Although Working On A Dream is clearly a pop album, Springsteen gives a nod or two to his past - the opening cut is a majestic eight-minute song called Outlaw Pete that recalls the epic storytelling of his Wild, Innocent & E Street Shuffle days. You can listen to Bruce Springsteen's Working On A Dream in its entirety here.